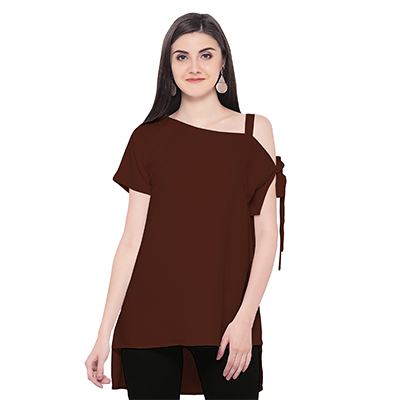 A real visual delight this one-shoulder top exhibits a charming brown color. 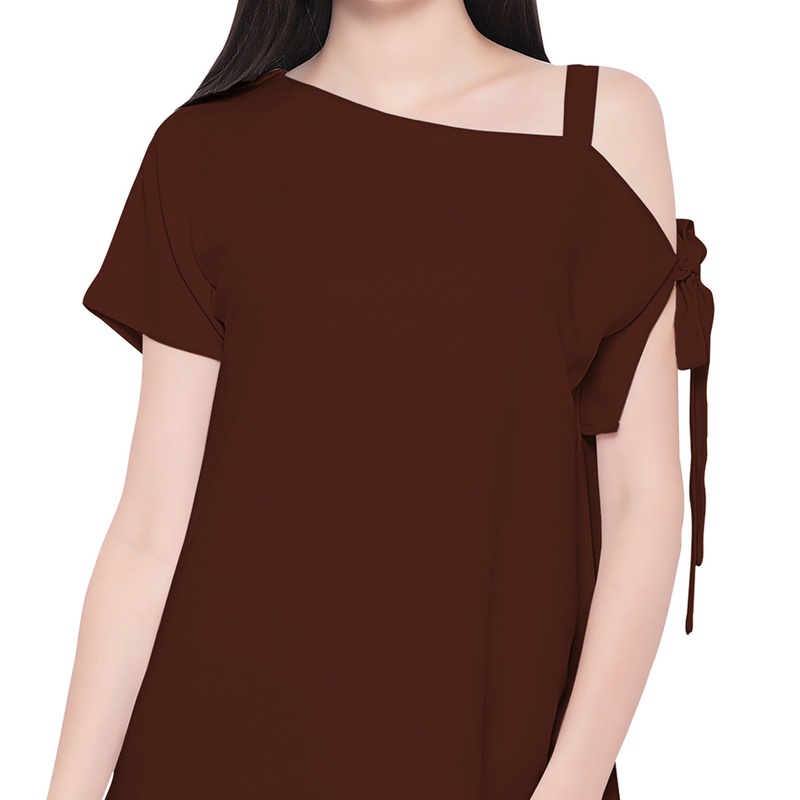 Decorated with a high-low hem it exhibits a neckline with tie-up detailing for added attraction. 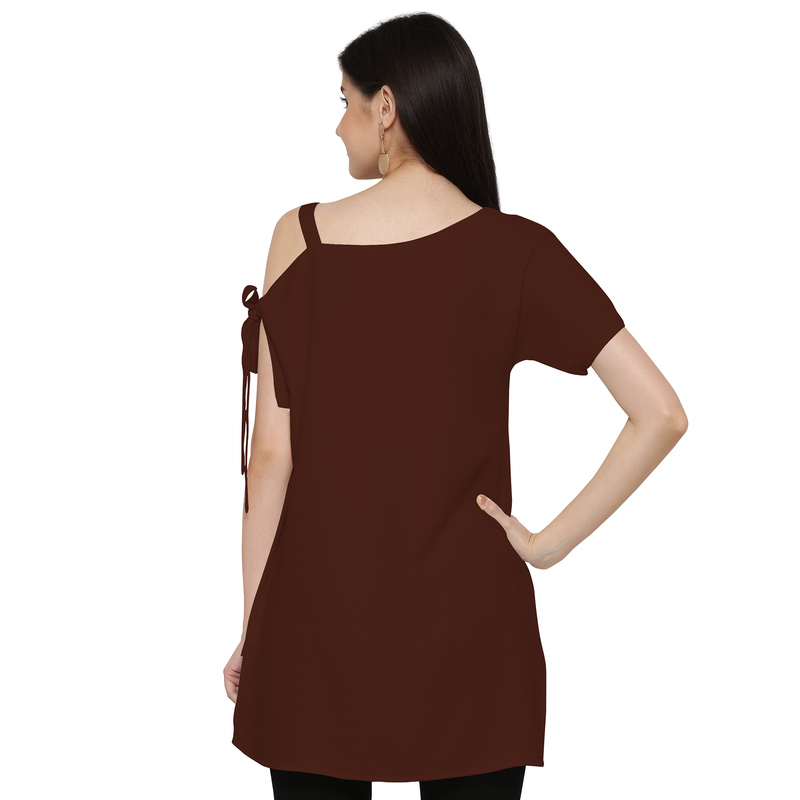 Fashioned from moss georgette fabric for a soft feel it will go well with chinos and sandals.